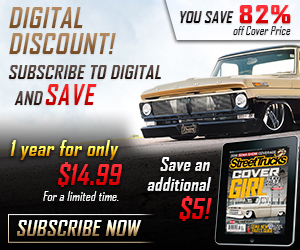 Every C-10 nut needs a diesel, right? Well, this nut does. 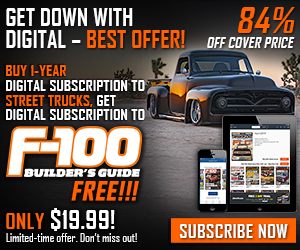 I have had the privilege of owning many 1960-66 C-10 trucks in my life. Some of you guys might remember my ’63 C-10 that won Best Custom Truck at SEMA 2007 and went on to be made into a real Hot Wheels toy. I decided that I wanted something a little different, so my friends and I started searching the web. 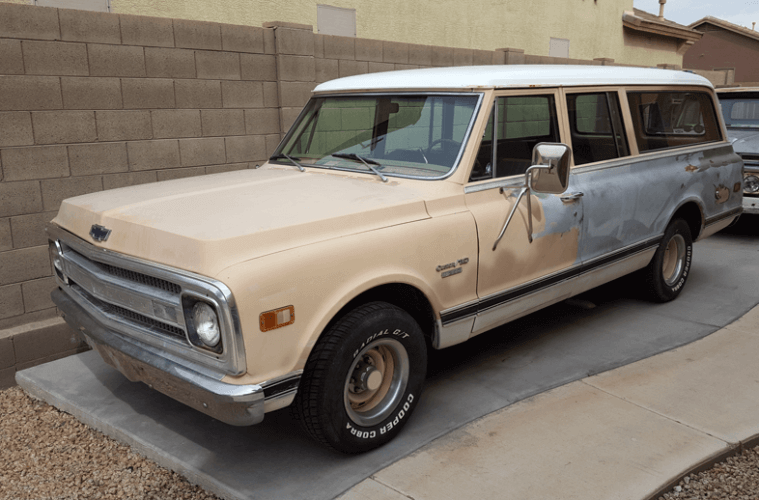 We came across a running three-door ’69 2WD Suburban located about an hour away. A couple of friends and I headed over to check out the truck, and I ended up buying it on the spot for $3,000. I even drove it home without any issues. 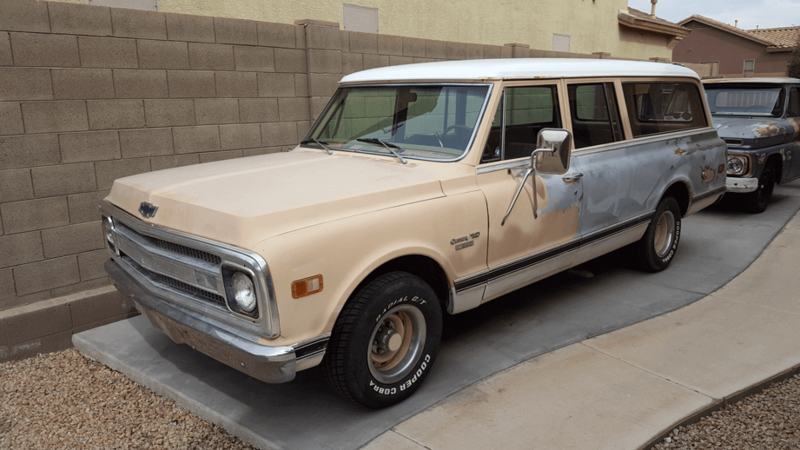 I’ve never owned a 1967-72 C-10 before, and when my wife and daughters first saw the Suburban, the first thing they said was, “What are you going to do with that?” I told them that I wasn’t completely sure, but that I had a vague idea of what I wanted. I parked the truck in my side yard for a few months where it became a playground for my girls. My wife would send me pictures of my daughters acting like they were driving it, putting the dog on the seat, and just having a good time. Seeing my girls enjoy the Suburban so much while it was just sitting there cemented a few ideas that I had about the truck’s future. We could take the truck on long family road trips and use it as a tow vehicle. First things first, I needed to research costs, because I didn’t have an unlimited budget. 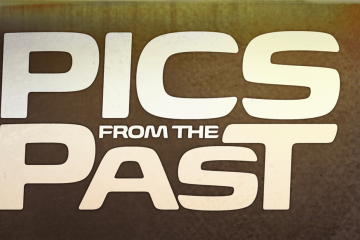 I replayed the C10talk.com episode where the hosts discussed LS swaps. They said the average LS swap costs $10-15K, all included. I immediately decided that a Cummins was in the Suburban’s future. I certainly didn’t have an LS-sized budget! I got to work looking for donor vehicles that had a mostly mechanical diesel motor. 1 & 2. 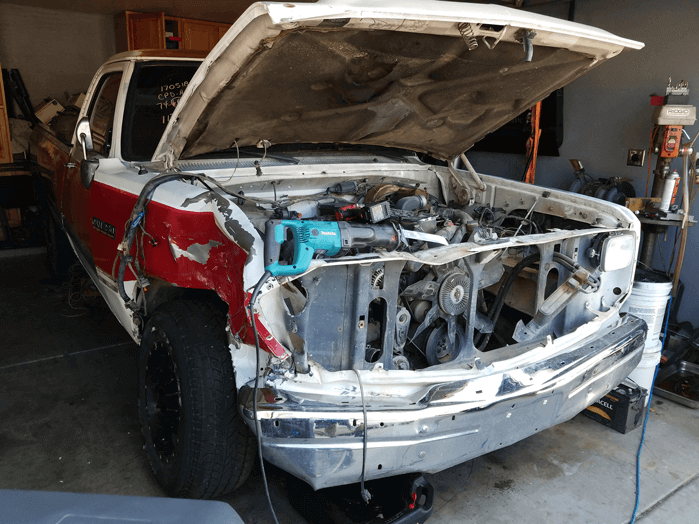 The donor truck was a low-mileage ’92 Dodge 250 with a 5.9 VE pump 6BT and A518 automatic transmission. The truck had been hit on the front passenger fender, which was an easy fix, but I only wanted the drivetrain. Jason at Big 10 Garage is no stranger to these swaps. 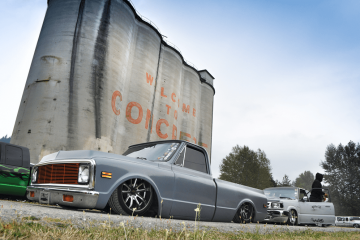 He’s done several in square-bodies, but this is the first time he has done this swap in a 1967-72 C-10. Before getting to work, we kept two things in mind: reliability and parts. If I decide to drive this truck every day, I want to be able to buy any part off the shelf to fix it. If it’s something engine- or transmission-related, I can easily get the Dodge parts. If I need to repair or replace a body part, I can get a ’69 Chevy Suburban part. 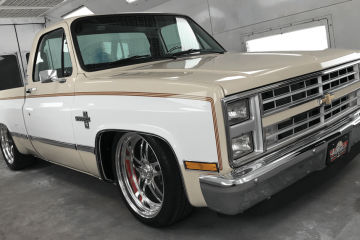 You’ll notice as you continue reading that very few custom parts were needed for this swap. 3 & 4. After the 5.9 and transmission were removed from the Dodge, they were never separated. The core support for the Suburban was removed. 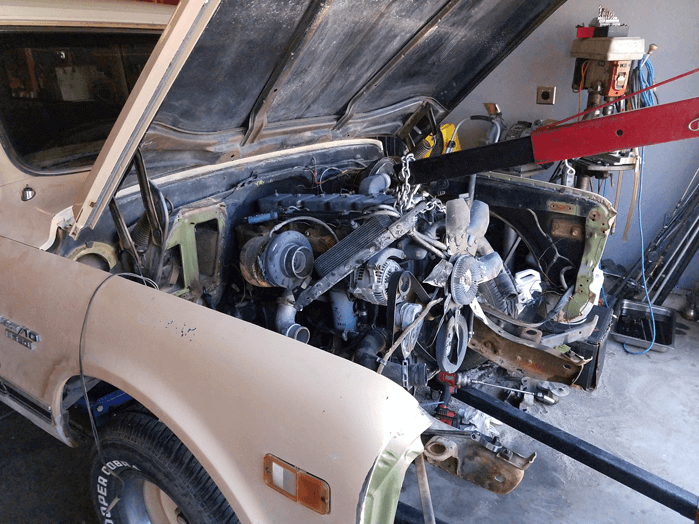 Using an engine hoist and floor jack, the Cummins was placed into the Suburban engine compartment. This is where a lot of time and study was invested. Jason took several measurements, making sure the diesel motor was exactly where he wanted it. 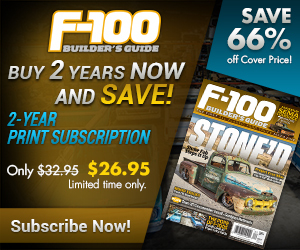 The firewall and core support were not modified when fitting the diesel motor. 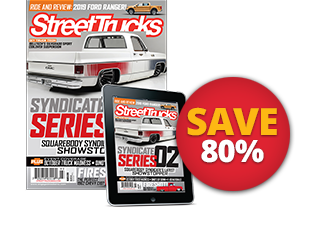 The engine side mounts are stock Dodge, and the Chevy frame side are custom made from ¼-inch plate. 5 & 6. 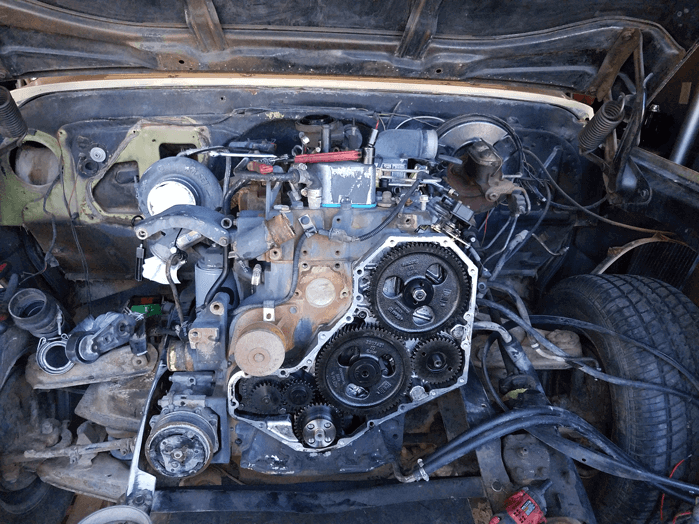 The Suburban had a 350 with a Turbo 400 that ran and shifted strong. Have no fear, they will be used in another project. The Dodge A518 transmission aligned perfectly with the factory Chevy transmission cross member. 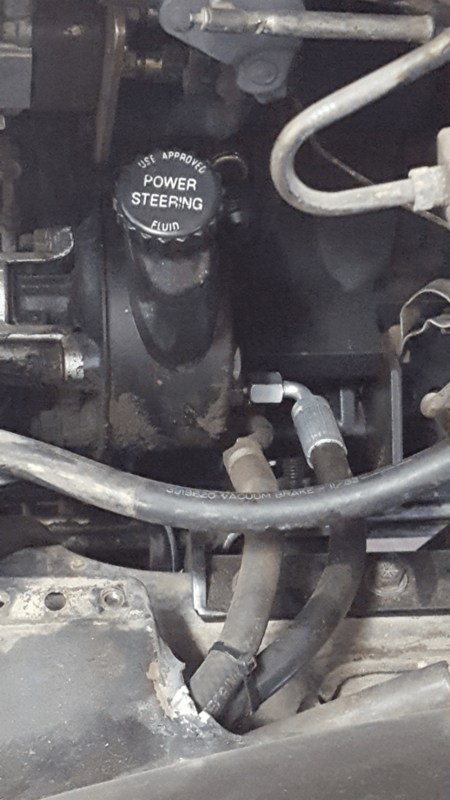 Jason used the Turbo 400 mount between the Dodge transmission and Chevy cross member’s existing holes. 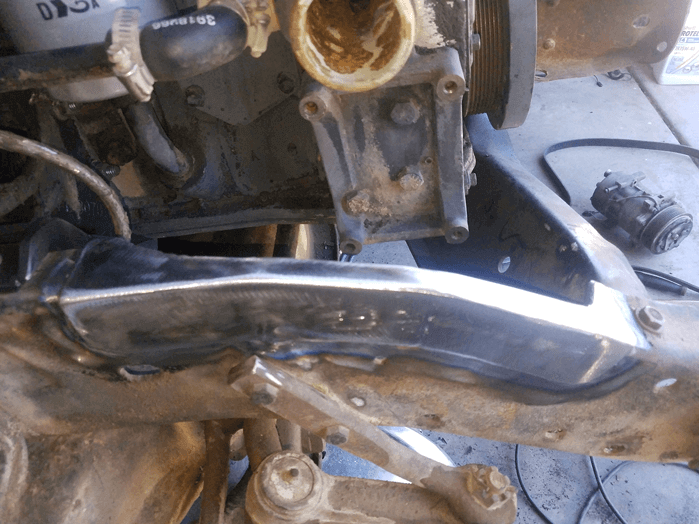 We wanted to use as many factory parts as available, so Jason sourced a high hump Chevy transmission cover that worked perfectly. 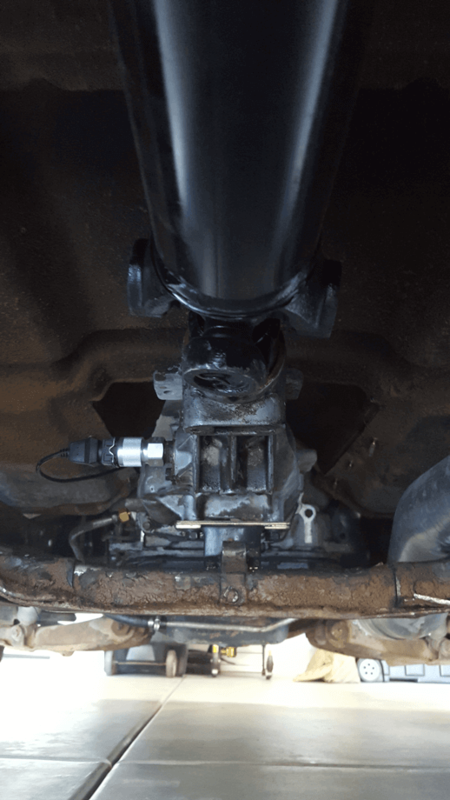 A custom driveshaft was made to mate the Dodge A518 transmission to the stock Chevy differential. Jason took constant measurements throughout the swap. Just because the engine and transmission looked good and fit didn’t mean everything else would fit down the road. He had to keep in mind that the plan was to keep everything factory. 7. 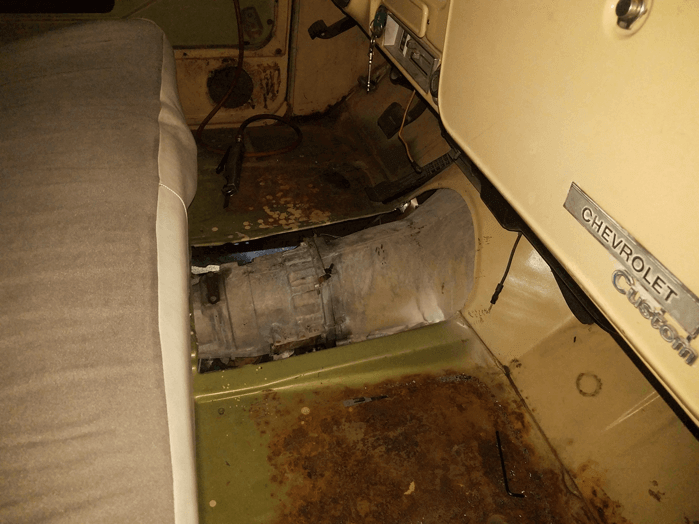 Once Jason was comfortable with the fit of the Cummins diesel and automatic transmission between the Suburban frame rails, he checked accessory clearance. Would the serpentine fit? Would the mechanical fan and radiator fit? How about the intercooler? Would we be able to use the stock intercooler pipes? 8 & 9. 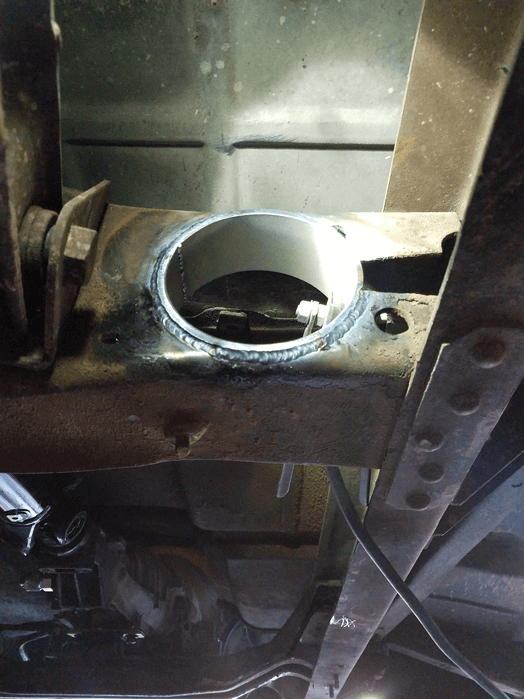 Jason had to make a slight cut to the front passenger side rail to allow the new AC compressor to fit comfortably. 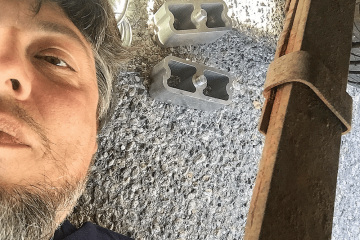 He also noticed the mechanical fan and radiator were not going to fit after finding room for the stock intercooler in front of the core support. In order to keep the engine mechanical, the Dodge alternator was converted from exteriorly regulated to one-wire internally regulated. The power steering hoses were next. The Chevy hoses are -6 so one Saginaw adaptor was needed. 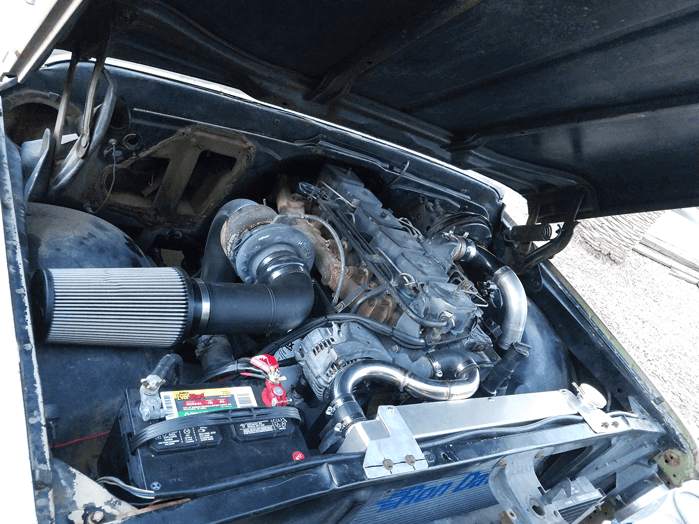 Next, Jason wired the stock Chevy ignition to the Dodge starter. The ignition wire from the Chevy coil was wired to the Dodge fuel shut-off solenoid and the rest were wired as usual. 10 & 11. 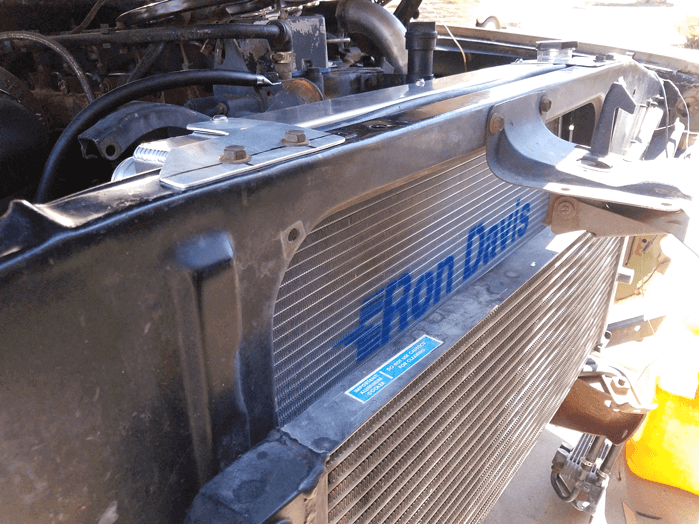 Jason and Ron Davis configured a custom radiator with dual electric fans. The radiator and fans are a super-tight fit, but they cool the torque beast like a champ. Ron Davis Radiators uses its own fan relay kits, which allow the fans to run at 97% efficiency. 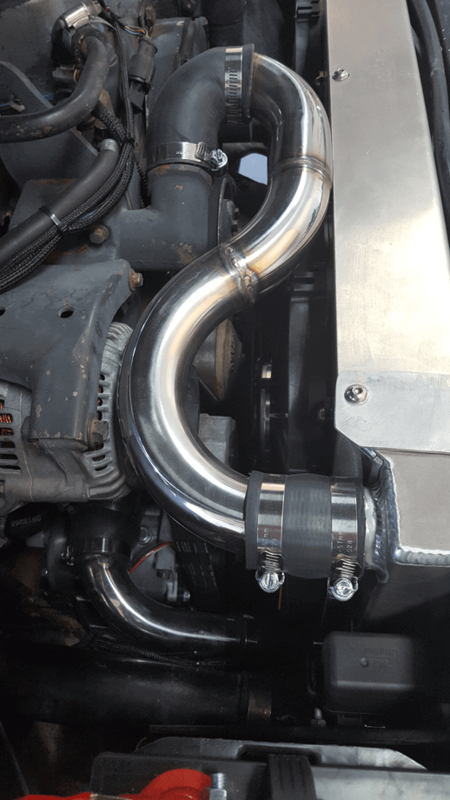 The upper and lower radiator hoses are “part custom.” Jason made custom stainless pipes, but connected them to the radiator with rubber radiator hoses. 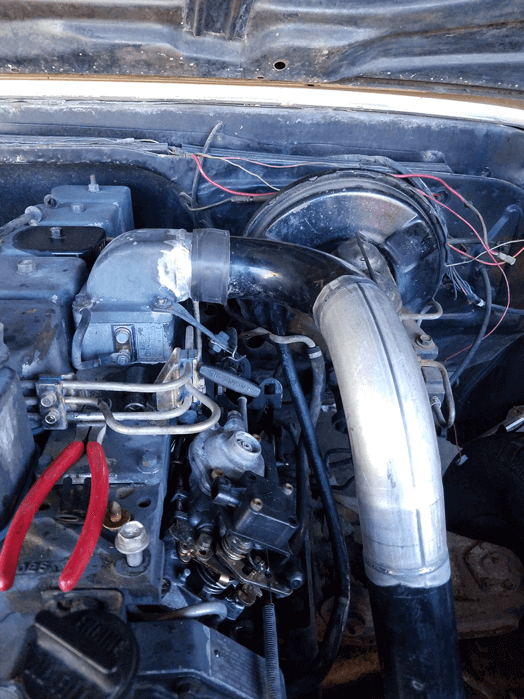 Rather than cut the Dodge neck and reweld it to face the upper radiator hose, a custom partial hose was made. This makes our adaptation easy to fix if necessary. 12. 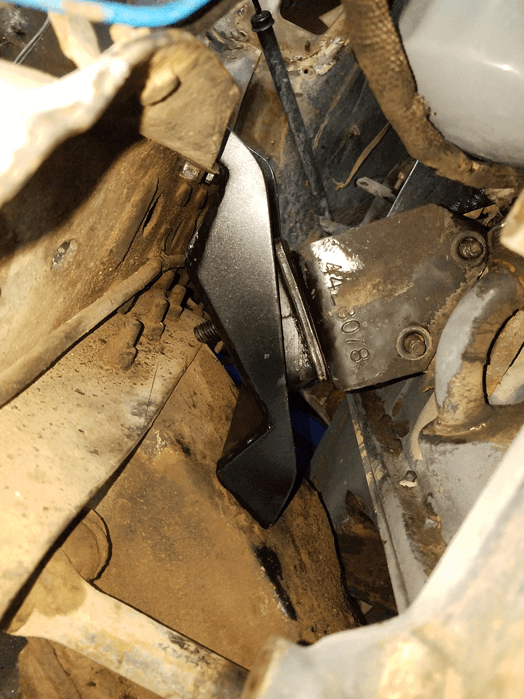 One and a quarter inches had to be removed from the intake elbow next to the master cylinder to allow a modified intercooler charge pipe to fit. The passenger side turbo-to-intercooler pipe is factory Dodge. 13 & 14. Next, Jason addressed the gauges. 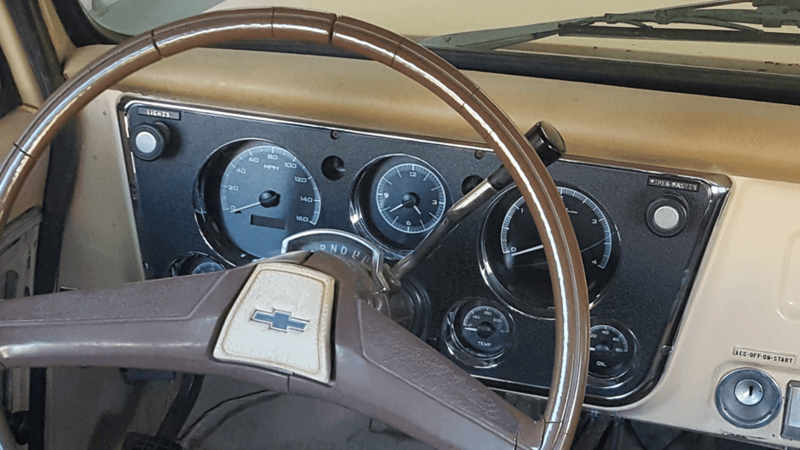 Dakota Digital’s VHX series for 1967-72 Chevy is killer. Jason called the sales department and ordered the new VHX exactly the way he wanted it. 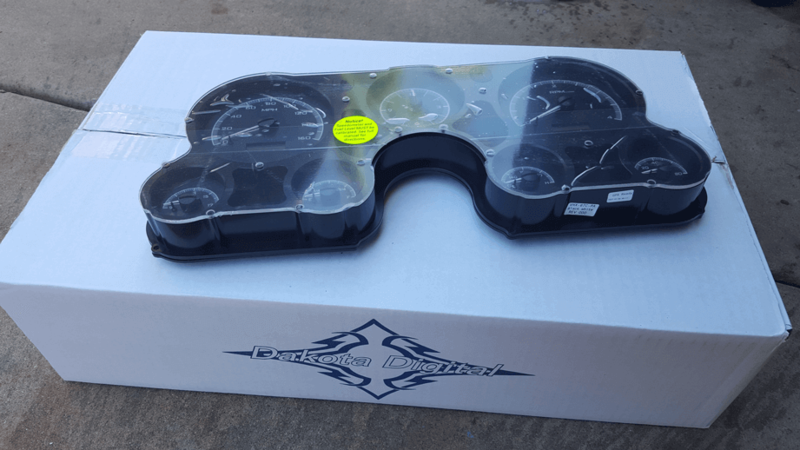 He ordered a diesel controller to convert to square wave signal so the Dakota Digital gauges can see the Cummins motor. 15 & 16. The next project was the exhaust. Jason ordered a builder’s kit from a local supplier and went to town. The exhaust was tucked up in the frame and through the cross member for future suspension modifications. 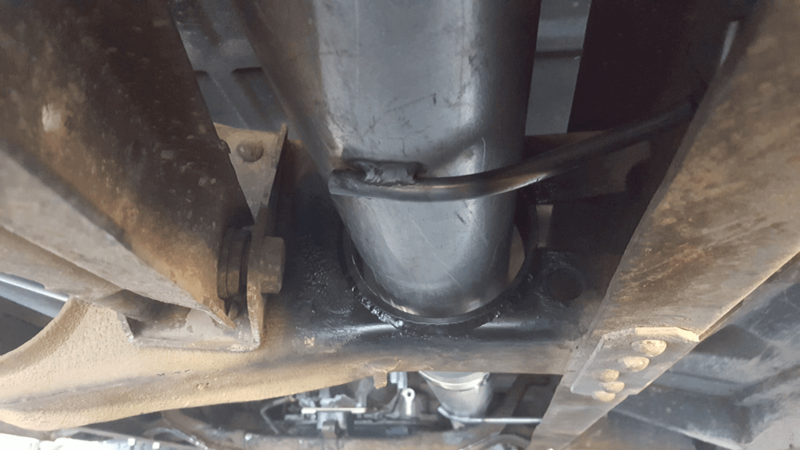 The exhaust pipe was 4 inches, so Jason cut a 5-inch hole in the Chevy cross member and reinforced it so the 4-inch exhaust pipe would slide through with ease. 17. Now it was time to get clear air into the 5.9 Cummins. 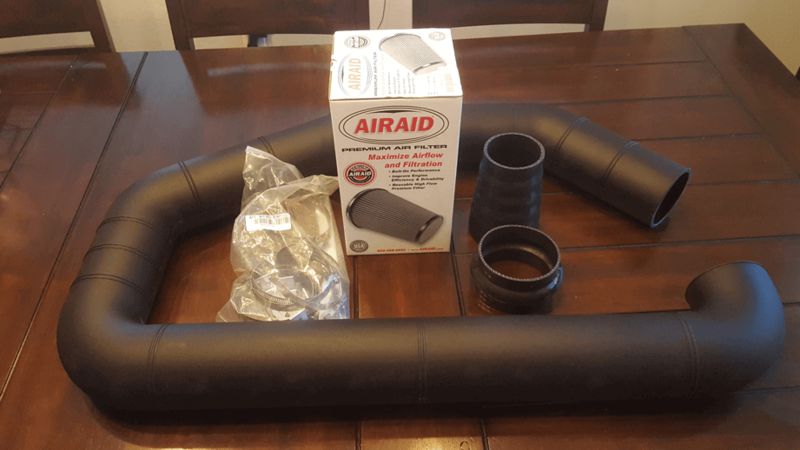 I ordered the AIR-101-401 from Airaid. This is similar to an exhaust builder’s kit. You get one long piece of tubing that you cut any way you want with a few silicone couplings and a cone. 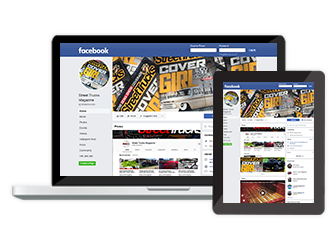 If you are doing any kind of engine swap this will make your job a lot easier. The kits come in different sized cones and pipes. 18. 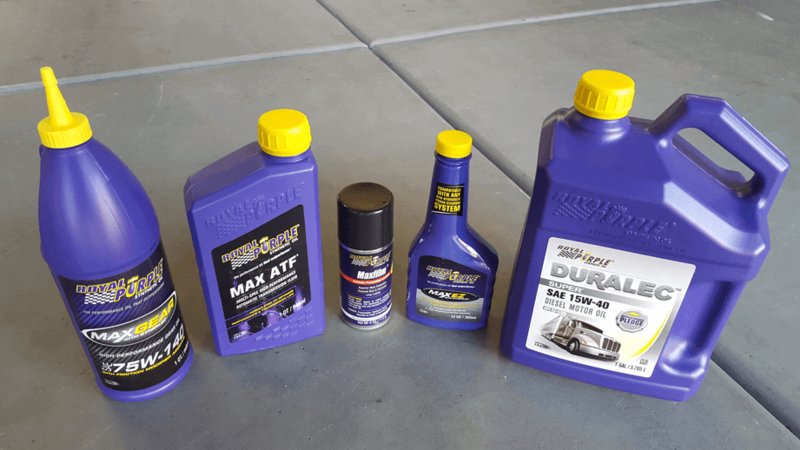 Before firing the engine for the first time, all of the fluids were replaced with Royal Purple products. In the Cummins we used Duralec 15w40, the A518 transmission got Max ATF, in the power steering we used Max EZ, and the rear differential got Max Gear 75w140.